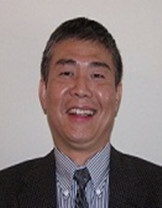 Dr. Guanghsu A. Chang is a professor in Industrial Automation at Bakersfield College. He has spent the last 21 years in teaching industrial and manufacturing engineering programs. He earned his MSIE, and Ph.D. degrees from the University of Texas at Arlington. His research interests include robotic applications, manufacturing automation, Design for Assembly (DFA), and Case-Based Reasoning (CBR) applications. He was a vice president of Southern Minnesota APICS (2009-2012) and faculty advisor of APICS student chapter at MSU.